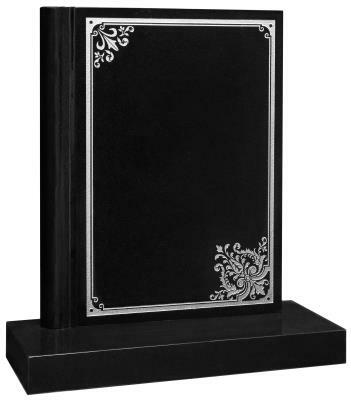 16022 - This sandblasted 'book, cord and tassel' design provides an ideal frame for two inscriptions. 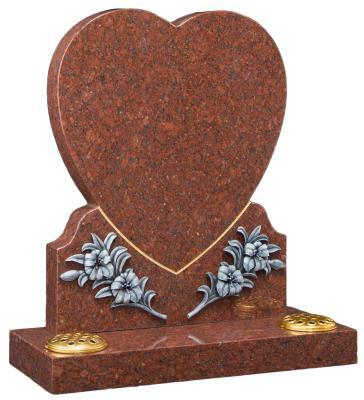 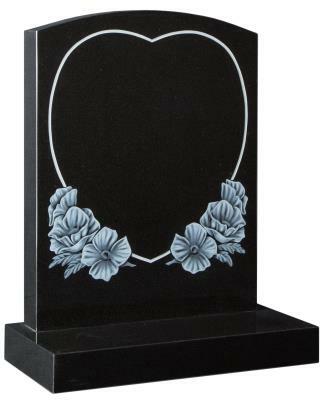 16033 - An Oval Top headstone with a heart shape pin line and CNC carved poppy design. 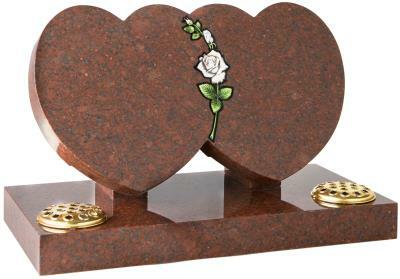 16091 - A variation on the CC 300 with carved wild roses and a raised heart replacing the resin rose. 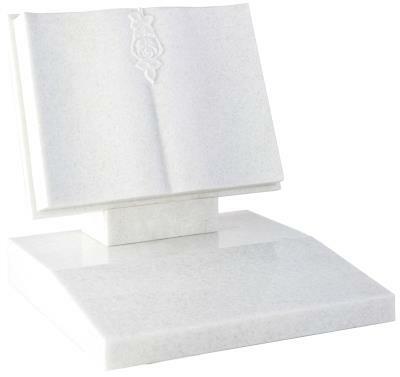 16092 - This fully shaped Book memorial is carved both front and back with stepped and polished page edges. 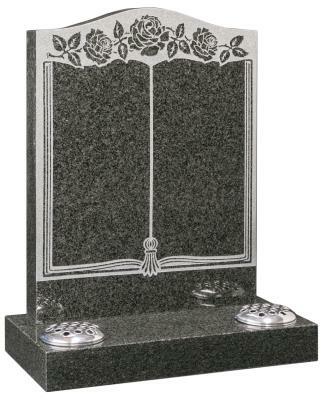 16093 - Our 'Book of Life' headstone with a decorative border and corner embellishments. 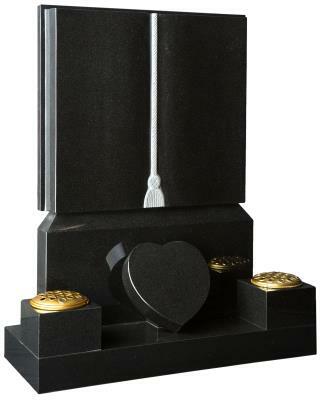 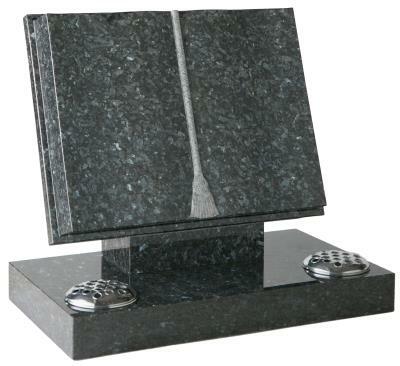 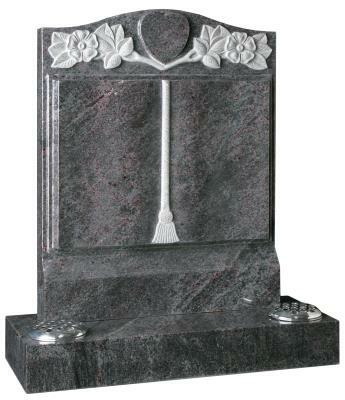 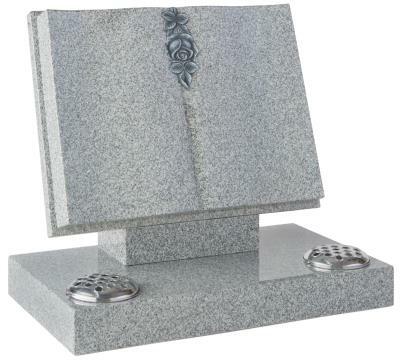 16094 - Using the same basic design, this headstone has an alternative gilded finish and corner embellishments. 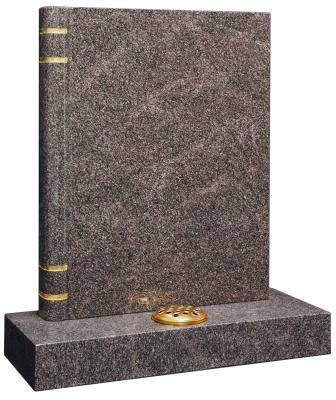 16095 - This interpretation has a simple banding design on the spine of the book. 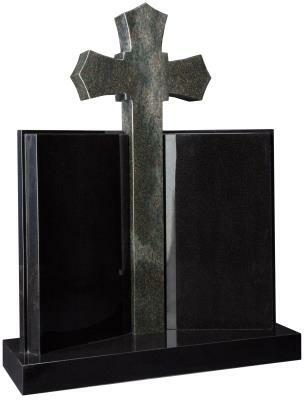 16096 - The 42' high cross forms the majestic centrepiece to this unusual Book style memorial. 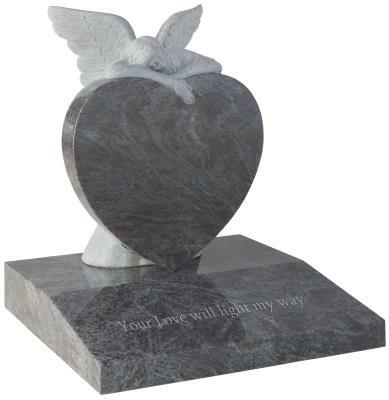 16097 - Inscription area is increased by the addition of a heart plaque to this large book memorial. 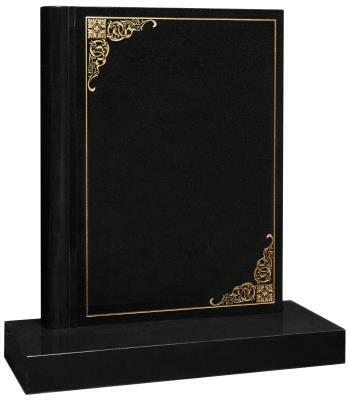 16098 - A classic Cord and Tassel Book on a simple rectangular base. 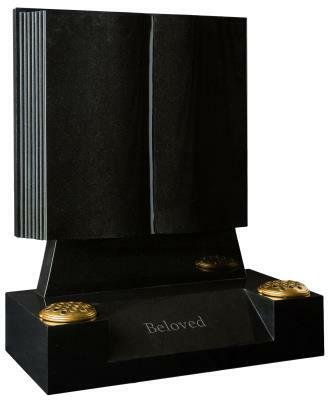 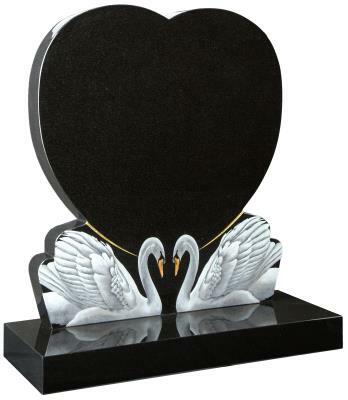 16099 - The addition of a bowed base adds a touch of grandeur to the classic book memorial. 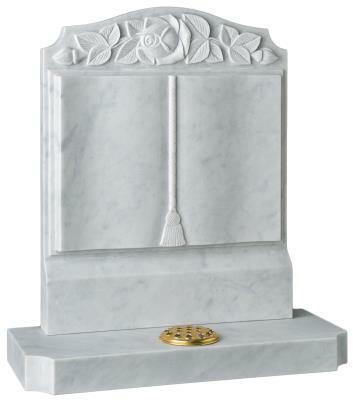 16100 - These deep carved roses create a beautiful highlight to an otherwise simple tablet memorial. 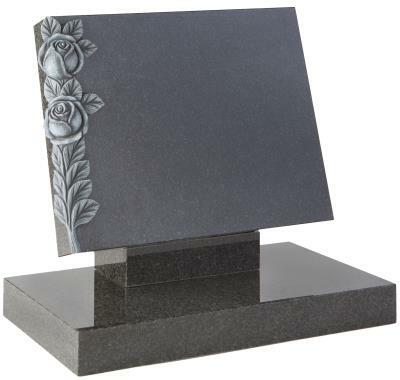 16101 - The elegant carved rose is the stand-out feature of this classically designed book memorial. 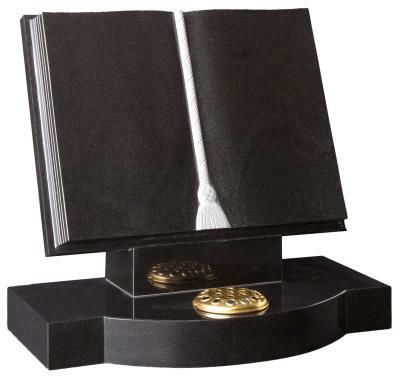 16102 - Stepped pages, 'v' centre and a shaped base set this book memorial apart. 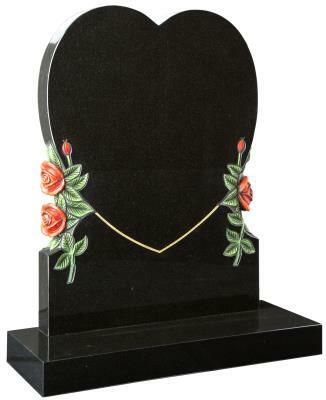 16103 - This book has a feature rose. 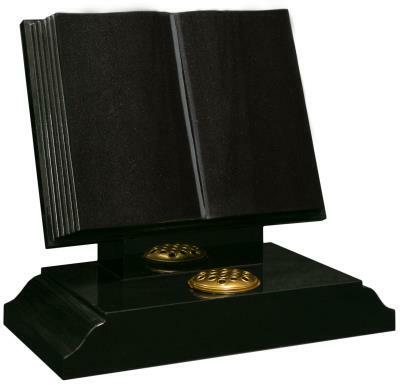 The desk tablet base provides space for additional inscriptions. 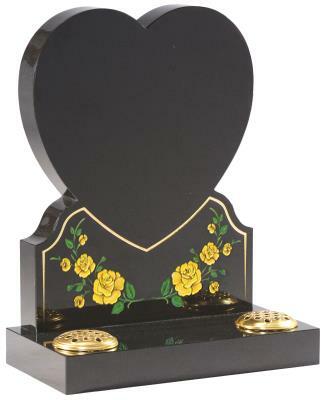 16105 - An elegant double heart memorial linked by a CNC carved and painted rose. 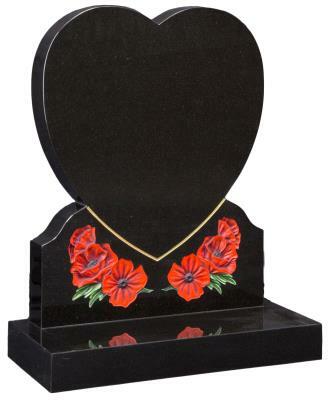 16106 - An elegant double heart memorial linked by a CNC carved and painted rose. 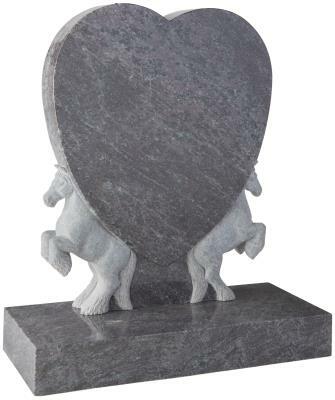 16111 - In this example fully carved horses are a beautiful example of what can be achieved. 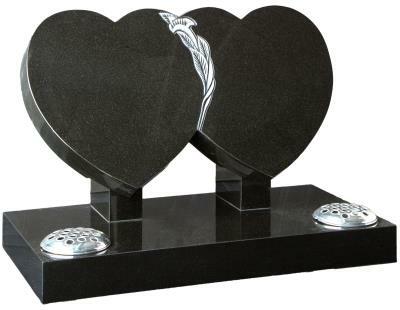 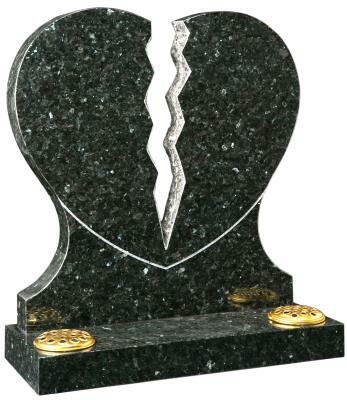 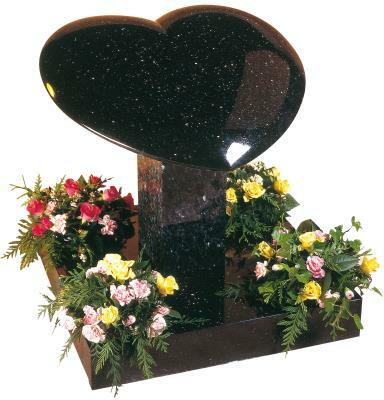 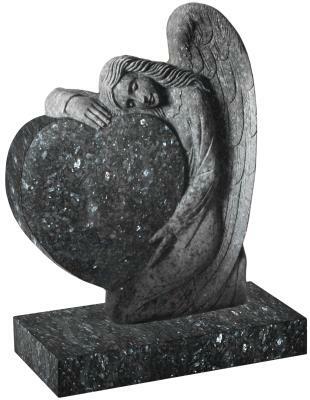 16112 - The Broken Heart memorial is a fitting alternative to the classic heart memorial. 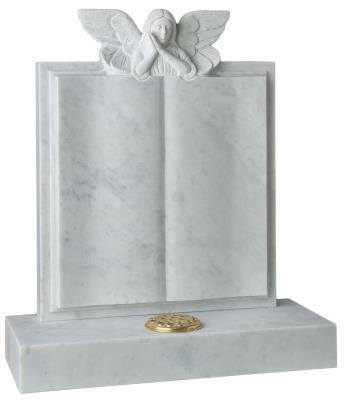 16130 - An intricately carved Angel resting over a Book style memorial.